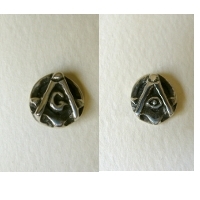 Here is a small hand carved Square and Compass Lapel Pin in Sterling Silver. The size is about 5/16" Diameter. 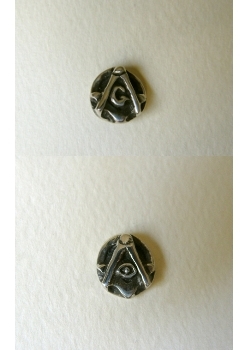 This item is for one pin with the G in the center. 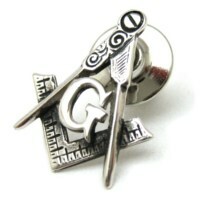 Is packaged in a velvet gift box with printed materials, and a white nickel plated spring clutch back.